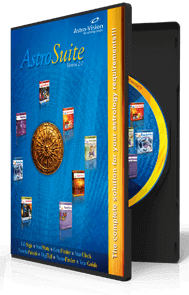 AstroStar is an astrology software bundle from Astro-Vision. This software pack offers 4 software applications viz. LifeSign Star 14, YearGuide, SoulMate and StarClock VX. 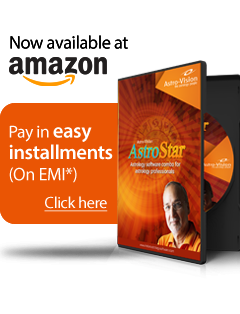 AstroStar is available in languages - English, Hindi, Tamil, Telugu, Marathi, Bengali, Kannada, Malayalam & Oriya. It suits the requirements of professional astrologers and astrology students. LifeSign Star 14.0 is a multi-lingual software product offering a variety of horoscope reports. It’s a variant of Astro-Vision’s prestigious product LifeSign 14.0 having more than 10,000 satisfied customers. 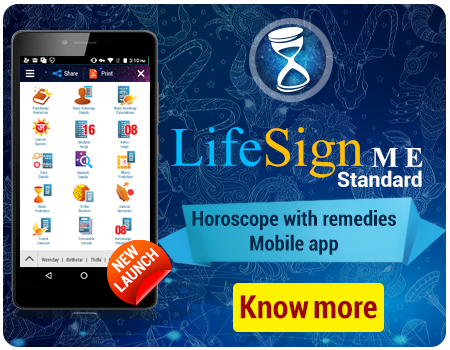 LifeSign Star 14.0 gives accurate horoscope predictions & calculations with a choice of chart formats. 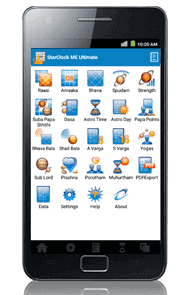 StarClock VX is an advanced Panchang & Muhurtha software. The software enables error free predictions through fast and accurate calculations. StarClock VX helps to find exact planetary positions for any given point of time. YearGuide follows the Tajika System to analyse Varsha phal. The Varsha phal Period covers an entire year from the day of Varsha pravesh. The software gives predictions for a year, and forecasts can be generated for a total period of up to 10 years.